I write a lot about traditions. I have posted about ethnic traditions, school traditions, family traditions, yachting traditions, and weird traditions. At Texas A & M University, the big joke is that if you do it twice, it’s a tradition. Their Traditions Council has recorded the origins of some of their long-standing traditions. But the origin of many traditions is often lost to the mists of time. Do you remember the last time anyone threw rice at a wedding? Newlyweds were once pelted with rice when they left. Now birdseed seems to be the weapon of choice. 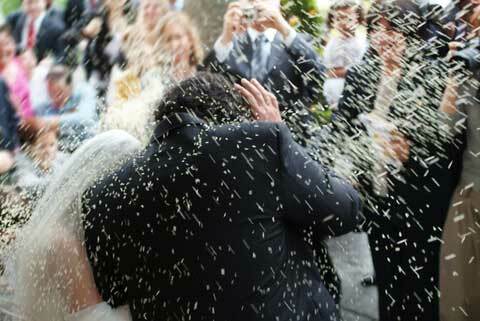 It was the tradition for many years for guests to throw rice as the Bride and Groom made their honeymoon getaway. The origin for this is vague, but it is supposed to symbolize wishing prosperity and fertility to the newlywed couple. In other cultures, guests might throw dates or figs. 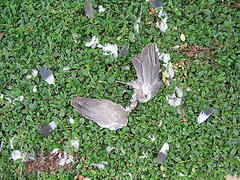 In America we stopped throwing rice, in favor of birdseed, due to fear of harming birds. Seems the birds would eat the dry grains of rice, which would expand in their stomachs, ultimately causing the poor bird to explode. Everyone now “knows” this, and it is simply not PC to throw rice any longer. Turns out it’s all nonsense. Why aren’t there stories about exploding birds? Because it doesn’t happen. I always suspected this. I recall driving through the rice fields of south Louisiana and seeing that they were filled with birds. Some were eating the crawfish and other critters in the flooded rice paddies, but many birds were eating rice. And we never once saw a bird explode. Our culture is so pre-programmed to believe that any story that gets repeated enough must be true. So it became universal practice to use birdseed instead of rice. The past few decades have seen couples running through bubbles, rose petals, and sparklers as well. There are some practical reasons to favor birdseed. Rice can be hazardous to walk on, and a bear to clean up. Many venues banned rice for these reasons…but it had nothing to do with exploding pigeons. And so far no one has exposed a conspiracy by bird seed companies to promote their product this way. I recently heard of a hazardous birdseed story. Someone purchased birdseed for a wedding that was specially treated to keep squirrels from eating it. After showering the bride and groom with it, they developed a painful burning and itching, as did many guests who came in contact with the seeds. Turns out the active ingredient was capsaicin, extracted from chili peppers. That was a hot wedding! So now that the truth is out, will we see a return to the rice throwing tradition? We now have special "Designer Wedding Rice"
There are new, improved rice products being marketed for weddings that are supposed to be safer and easy to clean. Some is even heart-shaped! And it won’t make birds explode – just as regular rice won’t. This entry was posted on April 24, 2012 at 1:26 pm and is filed under Texas Aggie Weddings, Weddings! with tags best dallas DJ, Dallas Wedding Dj, ethnic wedding DJ, Fort Worth Wedding DJ, North Texas Best DJ, wedding. You can follow any responses to this entry through the RSS 2.0 feed. You can leave a response, or trackback from your own site.